Kelly Rentzel found out she was bipolar as a senior in college at Rice University. Despite the diagnosis, which she learned of during a month-long stay in a psychiatric ward, Rentzel graduated several months later on time, with honors and with a double major. Fifteen years later, she interviewed for a job at Dallas-based Texas Capital Bank just months after surviving an unsuccessful suicide attempt in her bathtub. She got the job, became the bank’s first in-house lawyer, and built the legal department from scratch. To say Rentzel has overcome barriers in her life – and has landed on the other side stronger every time – is an understatement. Recently, she’s overcome a different kind of barrier: talking about her condition publicly. Now the general counsel of Texas Capital, Rentzel decided to go public about being bipolar shortly after receiving her big promotion to GC two years ago. Though it was nerve-racking timing for Rentzel, it has paid off for her and peers in the legal profession who have heard her speak around town and beyond Dallas. It’s why Rentzel was honored with the Award for Merit at the Dallas Bar Association’s annual Awards Luncheon in November. It’s also why she earned a speaking spot at a highly regarded TEDx conference last week at Southern Methodist University. DBA President Michael Hurst, who presented Rentzel with the award, said he chose to honor her because she has already taken great strides to remove the stigma of mental illness in the legal profession since opening up about her condition over a year ago. “Her inspiration has profoundly and eternally affected me and motivated me to be more open about my vulnerabilities, and I would ask others to do the same,” Hurst added. U.S. Magistrate Judge Rebecca Rutherford, a longtime friend of Rentzel’s, said the legal profession needs more forthcoming people like Rentzel because mental illness is still a taboo topic despite its longtime rampant presence. Rentzel demonstrates that instead, people “can move on beyond where they were before,” Judge Rutherford said. The far-left drawer of Rentzel’s L-shaped desk in her Uptown Dallas office is a testament to the magnitude of her speeches. Inside, it is stuffed with handwritten letters from people who have attended her talks. Of course, she has an exponentially higher amount of emails. “It’s been validating and heartwarming and human – that’s how I would describe the response,” she said. She’s even befriended a 25-year-old who works in the financial industry, the first person she’s met who went through the exact same experience as Rentzel did in college when she discovered she was bipolar. “He and I have developed a friendship and I’m sort of serving as his mentor now and helping him stay in a good place,” she said. Rentzel first spoke publicly about her journey with bipolar disorder in August 2017 at the DBA’s North Dallas Clinic. Aside from a few banking law-related speaking engagements, Rentzel had never spoken publicly before. Naturally, she got her hair and makeup done to at least take the edge off of worrying about her physical appearance while behind the podium. “There were twin nerves: the public speaking nerves that you would normally have when you’re speaking in front of your peers,” she said, “and then the, ‘I’m talking about this mental illness that really scares a lot of people and a lot of people don’t know that I have this’ ” set of nerves. Judge Rutherford was one of those friends in attendance to show her support. Before her first speech, Rentzel visited the campus at Rice to relive the experience of first discovering she was bipolar. While walking around campus, she prayed to have the courage to speak from her heart about her brain. Rentzel was just a normal college student in the fall of 1996. A 21-year-old senior, she was on track to graduate in the spring. She had been selected as one of 10 senior interviewers at Rice and had just helped coordinate orientation week. She spent four days on what she assumed felt like a constant “cocaine high” and could not shut her mind off. She spent those nights unable to sleep either, instead mapping her life out while listening to the Beatles’ White Album. “If The White Album is involved, it’s a red flag,” she said. She realized something was truly wrong when she suddenly was no longer able to read – a real-life nightmare for an English major. “I could see that there were letters, I could see that there were probably words there, but I couldn’t read any of the words,” she said. She went to her favorite English professor’s office hours, where she broke down in tears and told him she thought something was wrong. Her professor escorted her to the counseling center and spent hours with her while the counselors tried to figure out what was going on. Eventually, the professor waited with Rentzel while a police car drove her to a psychiatric ward, “where it was suggested that I go to try to get some rest,” Rentzel said. It was there where Rentzel learned she was suffering a manic episode. Her manic episode was so severe while hospitalized that the euphoric period turned to a dark, “hellish” psychosis period. “The TV was actually sharing messages with me, talking to me, which I think you can probably get in cable plans today but was not available in 1996,” she said. She eventually got out of her manic state and was ready to be released from the hospital on Halloween Day. Able to read again, Rentzel read every piece of literature she could get her hands on about bipolar disorder once she was released from the hospital. She learned two things: she would have bipolar disorder for the rest of her life and she would probably be on medication for the rest of her life. She also learned that because she was Bipolar I, the probability that she would also experience a depressive episode was 100 percent. The only question was when. Beyond the mere survival hurdles, Rentzel also learned for the first time of the stigma associated with having a mood disorder. Despite all this, she made the decision to press on with her life. Rentzel returned to Rice for the spring semester, “loaded up on classes” and managed to graduate on time with honors and a double major. She knew deep down that theory wasn’t realistic, but she didn’t want to take that chance. She attended SMU Dedman School of Law on a full ride scholarship. Being a Highland Park native, this allowed Rentzel to live at home while attending school, which eliminated the stress of pursuing financial aid to fund housing and allowed her family to monitor their daughter as she recovered from her diagnosis. She graduated in 2002, and spent the first two years of her legal career as a litigation associate at Baker Botts. She spent another two-and-a-half years at Sayles Werbner. Deciding eventually that she no longer wanted to live the law firm lifestyle (adequate sleep is something critical to keeping bipolar disorder under control), Rentzel began working for now-retired U.S. Magistrate Judge Jeff Kaplan of the Northern District of Texas as a staff attorney. While there, she met one of her best friends, Rebecca Rutherford, who was also working for Judge Kaplan as a law clerk. With the help of her “ruby slippers” – lithium medication – Rentzel continued down the Yellow Brick Road – remission – for 14 years as she built her career and lived a completely normal life. She fell in love and got married in 2008. “It was much like what Glinda said: ‘Never let those ruby slippers off your feet for a moment, or you will be at the mercy of the Wicked Witch of the West,’ ” Rentzel said. Everything changed in 2009, when Rentzel decided she wanted to try to have a child. But in order to conceive safely, she would have to get off her medication. “I knew that was risky, but I really wanted to be a mother,” she said. She gave birth to her daughter Catie in 2010. She went through her pregnancy without any issues and was fine for several months after giving birth. Her psychiatrist hadn’t warned her that breastfeeding would take a toll on her wellbeing, since it meant she would have to stay off her medication even longer. Then more realities of being a new mom – such as never sleeping – sunk in. As a result Rentzel began experiencing extreme anxiety, which turned into postpartum depression, and then, after that failed to resolve, a deep clinical depression a couple years later. It didn’t help that during this time, she was involved heavily on the death penalty docket at the courthouse. Judge Kaplan’s retirement announcement in the spring of 2012 also caused stress for Rentzel, who wasn’t sure what her next career move would be. By this time Rentzel was also divorced, but it was “through no fault” of her bipolar disorder. While depressed Rentzel got noticeably thin, but Rutherford said it wasn’t a red flag to colleagues at the courthouse given the limited information they had at the time about Rentzel’s condition, as well as the context in which her weight loss occurred. She was, after all, trying to get her pre-childbearing body back. On the morning of June 5, 2012, with no notice, Rentzel didn’t show up to work. After they couldn’t reach Rentzel on her cell phone, it immediately concerned Rutherford and Judge Kaplan, who knew that Rentzel had been previously hospitalized when she underwent postpartum depression. “This is no one’s fault. You all did everything you could. She took one Trazodone capsule. Then she tossed back an entire 57-pill bottle of Ambien. She filled the bathtub with water and climbed in. She tried to drown herself “to no avail.” She closed her eyes for her eternal slumber, thinking she would surely slip underwater. But she awoke eight hours later. The tub had completely drained. While hospitalized after her suicide attempt, Rentzel’s doctors determined she was resistant to medication. So she turned to a last resort to cure her depression that ultimately became a life-saving miracle. Rentzel said the public’s misconceptions about ECT “breaks [her] heart.” She explained that it is no different from common electric treatments on other parts of the body. Then she shared a light moment. She said after her second ECT round, her father (Bracewell of counsel Chris Rentzel) and ex-stepmother (Shackelford partner Martha Hardwick Hofmeister) visited Rentzel in the hospital at the same time. “I thought they were [still] married; that’s already a confusing relationship even if you have all your faculties,” she said. She received four rounds in mid-summer in 2012. 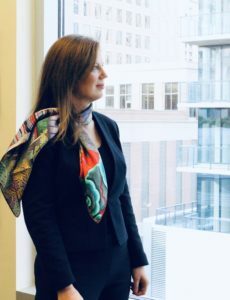 Amazingly, she navigated the second round of interviews at Texas Capital Bank two months later for a debut position as the bank’s first in-house lawyer. Rentzel’s first interview also came at a challenging time; it was in April 2012, a short two months before her depression took an almost-lethal turn. After the September interview, she got the job and started at Texas Capital that October. Rentzel has been in remission ever since. In addition to staying on her meds, regular talk therapy sessions and getting plenty of sleep each night, Rentzel said the work environment at Texas Capital is equally important to remaining in remission. Rentzel said she decided to pursue working for Texas Capital after learning from her dad, who previously handled a case for the bank, that Texas Capital leadership was looking for an in-house lawyer to manage the bank’s litigation. Mr. Rentzel mentioned to his daughter that he had recommended a couple of his associates. “I said, ‘Dad, that is exactly the kind of job I am looking for!’,” Rentzel recalled. 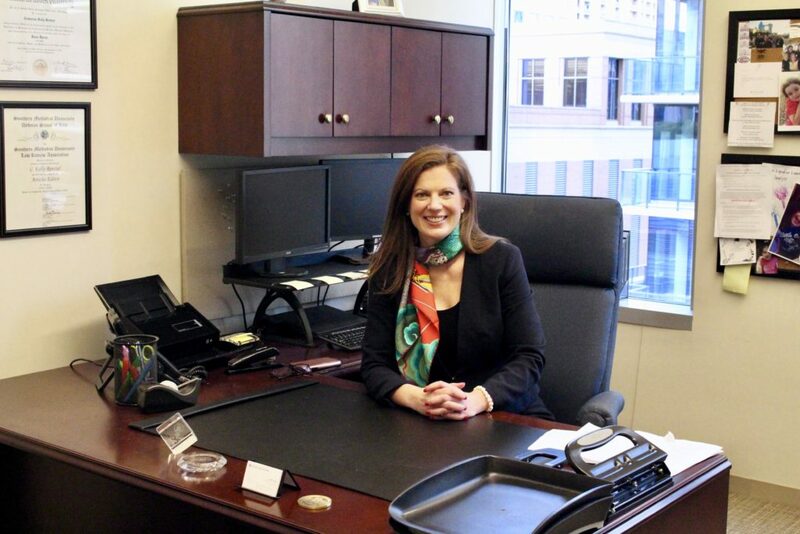 Her day-to-day role as GC at Texas Capital entails managing all of the bank’s litigation and relationships with outside law firms, looking for gaps in the bank’s legal coverage and ensuring those gaps are filled, and collaborating with HR to make sure the bank is compliant with federal employment regulations. “I basically turn other people’s legal headaches into my own,” she said. Rentzel has expanded the legal department to four lawyers total – all of whom happen to be female. One specializes in subpoena and garnishment work and “overflow litigation work” of Rentzel’s, one handles vendor contracts with outside third parties and the third manages standard loan documentation. Rentzel got promoted to general counsel in October 2016 – four days after she had finished a manuscript about her life with bipolar disorder that she had spent two years working on. “It kind of put me at a crossroads because I knew that if I wanted to speak about this anytime soon, that I was going to have to talk to work about it,” she said. She said a couple of people at the bank asked for more information, but overall, her employer was “very supportive” about her coming forward. She consulted with a PR professional, who suggested pursuing speaking engagements instead of publishing a book. She was reluctant at first. “I originally thought: ‘Well, maybe I’ll wait until I’m 65 and disclose my condition then,’ and he said, ‘You’ll have so much more impact if you start talking now. At your age, you’ll be able to reach older people and younger people,’ ” Rentzel said. She obliged, and started speaking in August 2017. After a couple more speaking engagements, she launched a website in March called Bipolar Oz. The website tells her story and provides a safe space for other “normal” people with bipolar disorder to share their stories. She calls the effort the “Bipolar Bio” project. What can the Legal Profession do About Mental Illness? Asked how lawyers can help colleagues who are struggling with mental illness, Rentzel said it’s crucial that lawyers get to know their colleagues so they “have a baseline for how they act and respond in situations,” she said. This comes into play if the colleague ever undergoes a behavior change: a usually-social person suddenly never wanting to go out anymore; dramatic weight gain or loss or someone “putting up a lot of fronts and not letting you see a serious side,” Rentzel said. She said partners casually throwing around the term “depressed” in front of an associate when describing someone who is having trouble coping with stress implies to the associate that “it’s not okay to be depressed,” she said. Though it’s likely not an easy solution in high-stress environments such as corporate law firms, Rentzel said it’s important to note that it is crucial that people with mood disorders receive adequate sleep. This is especially true, she says, in a high-performing environment like the legal profession. Like most people with the disorder, Rentzel is the most unassuming person when one thinks of “bipolar” in the outdated, erratic context. As Rentzel delivered one of her eloquent speeches at this year’s DBA Bench Bar Conference in Horseshoe Bay, she sported a sleek black pantsuit that complemented her slender, 5’7 frame. When she finished, the room erupted into standing applause, and numerous fellow lawyers began flocking toward her before she could even part from the podium. And when she stepped down, she was wearing her own Ruby Slippers – a pair of ruby red Jimmy Choo pumps.